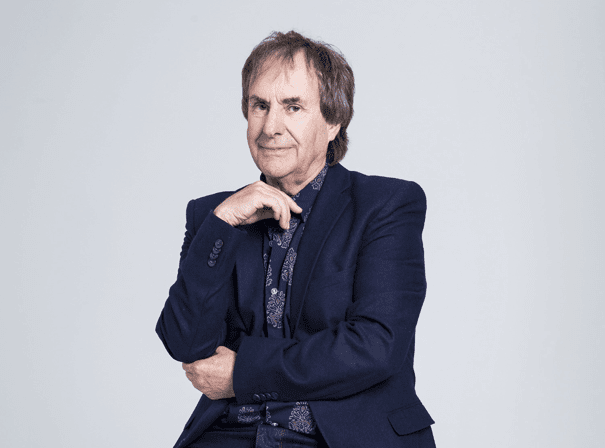 British-Irish singer, songwriter, and musician Chris de Burgh has a fruitful career spanning five decades, building a considerable following across Europe and South America. While his first seven albums national success, it was the release of ‘The Lady in Red,’ a single from his eighth album Into The Light, that catapulted the artist to international stardom. This heartfelt dedication to his wife reached No 3 in the US, No 1 in the UK, Ireland, Norway, and Canada, and boosted Into The Light into a No 2 position on UK charts. The singer has now released 21 albums to date, which have sold a collective 50 million copies worldwide. In 2018 he received a Lifetime Achievement Award at The Irish Post Music Awards for his contributions to the music industry. Born in Argentina, de Burgh and his family eventually immigrated to Ireland, where the singer gave some of his first performances. At age 26, he signed with A&M Records and toured as a supporting act for the English rock band, Supertramp, gaining significant attention While he initially wrote music that was categorised as art-rock, de Burgh eventually shifted towards a more pop-focused style, as evidenced in his later albums. His most recent album, A Better World, explores themes such as love, adventure, travel, and self-discovery. The artist continues to tour internationally, while connecting with a devoted fanbase through his consistently updated social media channels.